Announcing Winners of Last Chinavasion Sweepstakes! We held our third round Chinavasion Sweepstakes of 2013 last month. And we were thrilled to see that a lot of you guys entered our February 2013 Sweepstakes and were absolutely overwhelmed by your participation! 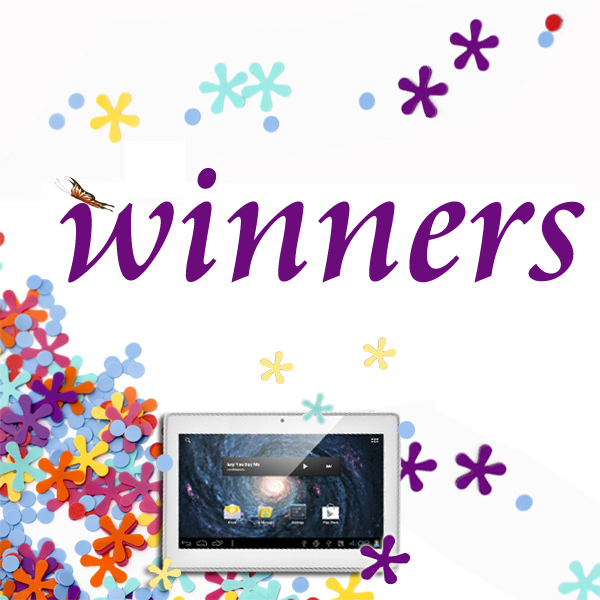 Three lucky winners have been selected by the innocent Chinavasion hand, and all three of them will go home will a Great “Aura” Android 4.0 Tablet PC. “Aura” Android 4.0 Tablet PC comes with enough specifications and capabilities to keep anyone pleased and well worth the cost. A 1GHz CPU will run without issues all the apps you download from the Google Play store, and with the 4GB of internal memory mixed with up to 32GB extended memory via a micro SD you will have plenty of space to save all your data. Its 7 inch sizes can easily be slipped in your pocketor backpack and of you go! Thank you everyone for your participation and if luck wasn’t on your side this time, we’re sure that the fourth Chinavasion Sweepstakes of 2013 will bring chance for you! Don’t forget to enter our new Virtual Video Glasses Sweepstakes this March!